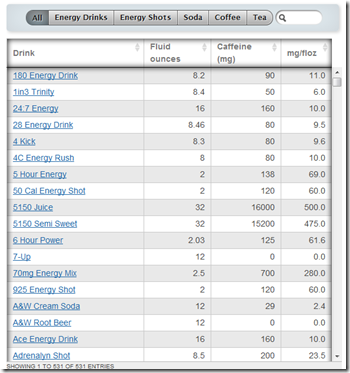 Not really a chart, but it is an excellent interactive table for comparing the amount of caffeine in different drinks – both by total for a typical serving, and by the ounce. Thank you for sharing this intyeractive table. Is it made directly from a software or is it handmade ?